Sherpas are a group of natives living at the base of the highest mountains in the world (Britannica, 2017). The Himalayas. At that altitude, you could be led to believe that its pristine, untouched, appearance is immune to human destruction. However, this is far from the truth. This area is being immensely impacted by climate change to the point where we may never get it back. The Sherpas who call this area their home are especially vulnerable to climate change as it affects this region (Dorje, 2016). An increase in avalanches creates dangerous working conditions, droughts and floods destroy the crops and animals they rely upon, and the trekking and tourism industry that revolves around this pristine environment provides an income for the poor Sherpa communities (Aryal, 2014). Everything from their work to their culture relies on this high-altitude environment staying intact; and with climate change plaguing the region, the Sherpa communities could be in peril. Video on Sherpa lifestyle and Culture. Climate Change in the high-altitude Himalayas will have a profound impact on those who call the area home. Climate change is causing a drastic increase in climate related disasters. These include glacier lake outbursts, landslides, avalanches, flood events, and droughts (IPCC, 2014). 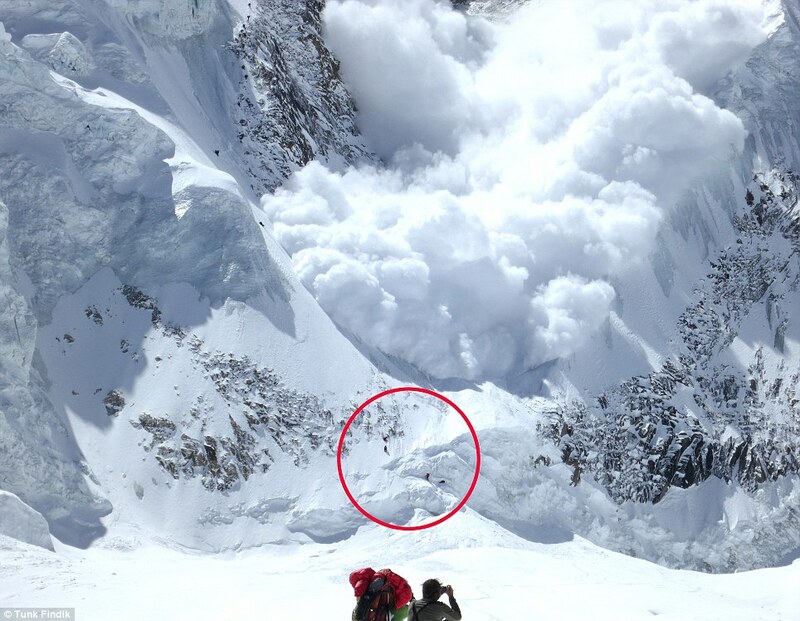 All of these put Sherpas directly in harm’s way. Avalanches kill those ferrying loads for western climbers, floods and droughts kill crops and livestock that the Sherpas rely on to feed themselves and their families, and landslides and outburst have the potential to wreck infrastructure as well as directly harm individuals (Nepal, 2010). Climate change is also having profound effects on Sherpas economic standing. Many have jobs high in the mountains ferrying gear or jobs revolving around tourism and trekking, and with climate change damaging the area and making it exceedingly dangerous, there is the potential for tourism and climbing to decline. This puts many Sherpas out of a relatively high paying job that allows them to continue providing for their families (Livelihoods, 2009). With these hazards to Sherpas economic standing and livelihoods their culture is being threatened. They are being forced out of traditional jobs, there towns are under siege from climate related disasters and potentially being destroyed or moved, as well as their enjoyment from jobs and religious practices is being impaired (Dorje, 2016). All of these things combined threaten Sherpas in general, as they tend to be poorer, less represented, and reliant directly on their surrounding ecosystems. Climate change is affecting the world as a whole, however, the poorer, rural Sherpa communities are especially susceptible the changes in the environment and weather are bringing about in the high-altitude Himalayan mountains of Nepal. Though the entire region of South Asia is at risk of damage from climate change, Sherpa populations are some of the most vulnerable. Sherpas live in the fragile high-altitude environment of the Himalayas, and their livelihood, culture, and food sources rely on the environment surrounding them. Climate change has the ability to significantly change their long-lived lifestyle, as well as put them directly in the path of danger. Changes in fresh water, extreme weather events, drought, rain, and species directly impact their ability to survive and make a living in the region (Aryal, 2014). Many of the men work in the mountains as porters and guides. These jobs are some of the highest paying in the poorer nation of Nepal (Yangjee, 2014). Sherpas who climb make on average four times that of the average Nepali. Since the Sherpa people are born and raised at altitude it gives them an edge over the western climbers that they work for. They are adapted to be able to hold more oxygen and thus perform well at altitude. This enables them to ferry large loads and prepare camps on the mountains for other climbers. However, with this talent come much more exposure to the dangers of the high mountains. Sherpa guides are often at the most risk since they are the ones ferrying all of the gear and setting routes. Because of this, 1/3rdof those who die in the Himalayas are Sherpas (Sherpas: The Invisible, 2014). The families of the deceased are left struggling for survival due to limited compensation for the death of the primary money maker, thus making it the duty of the younger sons to go into the mountains and risk their own lives to provide for the family. This just repeats the cycle. Sherpas have long standing traditions in their way of life that have the potential to be dismantled by climate change. First and foremost, the traditional jobs of herding and cultivating food is in peril. Droughts and flood conditions have resulted in many livestock and other crops dying off leaving the herders and farmers unable to continue these traditional practices (Nepal, 2010). In addition, those who practice making traditional goods typically make a living catering to tourists. However, with climate change there is a suspected decrease in tourist activity in the region, thus rendering them unable to make a living making traditional goods and losing an important part of their heritage (Yangjee, 2014). More severely, increases in climate related events, including floods and mudslides, can potentially displace entire Sherpa villages. Villages that have been in place for many years are being threatened by these events (Nuttall, 2009). The residents of these villages have a strong attachment to the areas in which they were born and raised. Having to move entire villages will result in an immense loss of culture, history, and livelihood for those who have called the area home for many generations (Sherry, 2018). Loss of culture is one of many concerns for Sherpas over climate change, as it drastically influences the way they have been living for many generations. 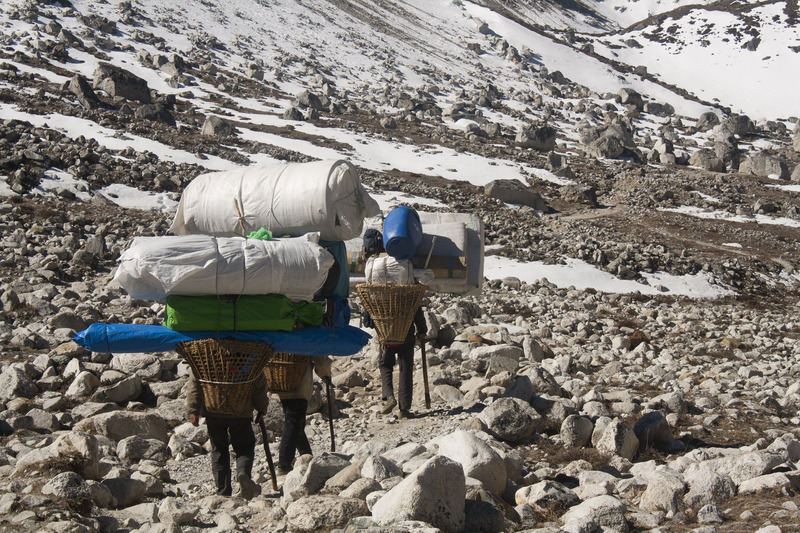 Sherpas ferrying gear in the Himalayas. With warmer weather plaguing the Himalayas, the crops Sherpas rely upon to sustain their families are suffering. In order to continue a subsistence lifestyle Sherpas are moving towards new varieties of crops that are able to survive and thrive in the warmer temperatures (Graham, 2014). In addition, this shift to new varieties of crops must include those that are less water intensive, as water scarcity in the summer as glaciers melt faster is becoming more and more of an issue (McDowell, 2012). As work in the high Himalayas becomes more and more dangerous Sherpas need to turn more towards other options to support their families. Many Sherpas who work as mountain guides are turning towards other ranges that have been less impacted by climate change. This enables them to still work in a job they enjoy while making money in a safer range. However, this does require them to be away from family for longer stints of time (Climbing, 2012). Consequently, many are moving into the more populated areas of Nepal and getting more westernized jobs. This allows them to send their children to school while living a higher quality of life. However, this process does facilitate a loss of culture for the Sherpa people (Nyaupane, 2009). As climate change brings about larger and more frequent disasters there is an increased need for protection and warning. The UN has begun funding to implement the drainage of newly formed glacier lakes that have a high potential to burst and cause massive damage to life and infrastructure in the remote mountains. In addition, an early warning system is also being put in place to warn residence about potential disasters and attempt to prevent massive damage (Graham, 2014). 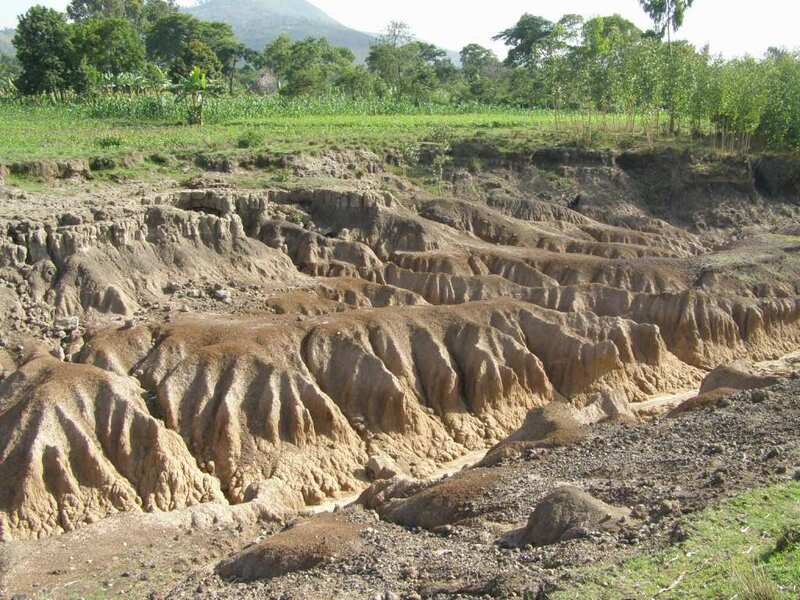 Soil erosion in farm field in Nepal. Colby Kellogg-Youndt was an Environmental Studies and Biology major with an interest in agriculture. She worked in the theater department as a TA for the stage craft course and helped with the productions put on by the school. In addition she was a captain on the women's rugby team and enjoyed climbing in the gym with team mates before practice. She has always had a love for the outdoors and, in particular, the high mountains of the Himalayas. This was the driving force behind the creation of this page. 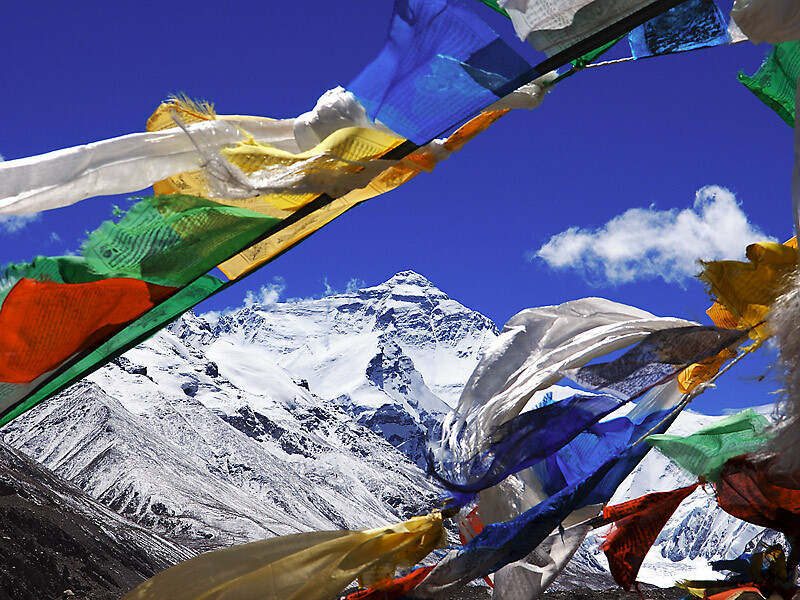 Prayer flags in the Himalayas. Aryal, S. Cockfield, G. Maraseni, T. Vulnerability of Himalayan Transhumant Communities to Climate Change. Climate Change. 2014. Bhuwan, S. “Nepal: Himalayas Unsettled By Melting Glaciers, More Avalanches.” Global Information Network, 4 October 2010. Britannica, The Editors of Encyclopaedia. “Sherpa.” Encyclopædia Britannica, Encyclopædia Britannica, Inc., 28 June 2017, www.britannica.com/topic/Sherpa-people. Dorje, Yeshi. “Son of Famed Sherpa, Experts: Climate Change Rapidly Melting Everest.” VOA, VOA, 4 July 2016, www.voanews.com/a/mount-everest-melting/3395393.html. Hijioka, Yasuaki, et al. “Asia.” Ipcc, 2014, archive.ipcc.ch/pdf/assessment-report/ar5/wg2/WGIIAR5-Chap24_FINAL.pdf. Lamsal, P. Kumar, L. Atreya, K. Pant, K. Vulnerability and Impacts of Climate Change on Forest and Freshwater wetland Ecosystems in Nepal: A Review. Kungl Vetenskaps Akademien. 2017. Nuttall, M. “Livelihoods In Peril.” UN Chronicle, 2009. McDowell, G. Ford, J. Lehner, L. Berrang-Ford, A. Sherpa. Climate-related Hydrological Schange and Human Vulnerability in Remote Mountain Regions: a Case Study From Khumbu, Nepal. Springer. 2013. Nuttall, M. Livelihoods In Peril: Indigenous Peoples and Their Rights. UN Chronicle. 2009. Nyaupane, G. Lew, A. Tatsugawa, K.Perceptions of Trekking Tourism and Social and Environmental Change in Nepal’s Himalayas. Tourism Geographies. 2014. Nyaupane, G. Chhetri, N. Vulnerability to Climate Change of Nature-Based Tourism in the Nepalese Himalayas. Tourism Geographies. 2009. Rai, C. Aarati, G. Raising Awareness of the Impacts of Climate Change. Mountain Research and Development. 2005. Sandeep, C.R; Gurung, A. “Raising Awareness of the Impacts of Climate Change.” Mountain Research and Development, November 2005. “Sherpas: Religion and the Printed Word.” Cultural Survival, www.culturalsurvival.org/publications/cultural-survival-quarterly/sherpas-religion-and-printed-word. Sharma, B. Nepal: Himalayas Unsettled by Melting Glaciers, More Avalanches. Research Library. 2010. Sherry, J. Curtis, A. Mendham, E. Toman, E. Cultural Landscapes at Risk: Expoloring the Meaning of Place in a Sacred Valley of Nepal. Global Environmental Change. 2018. “Temperature Gauge.” Earth Island Journal, www.earthislandjournal.org. Yangjee, Pasang. Climate Change, Perceptions, and Social Heterogeneity in Pharak, Mount Everest Region of Nepal. Society for Applied anthropology. Vol. 73, No. 2, 2014. 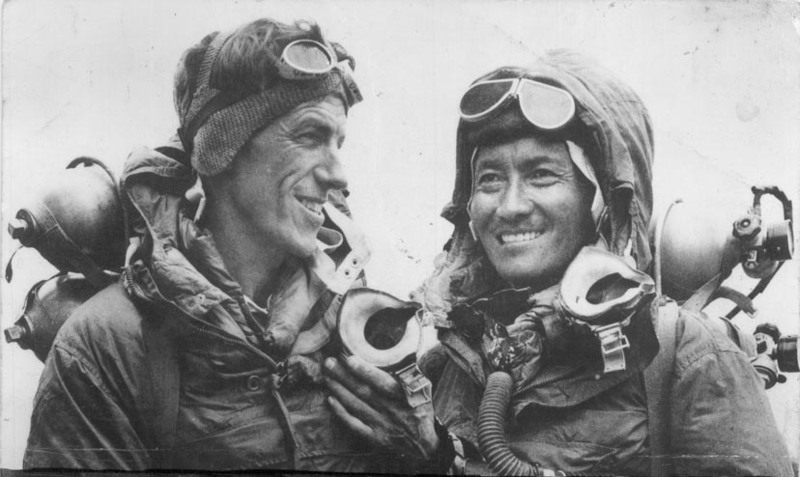 Tenzing Norgay and Sir Edmund Hillary.